In a twist of irony, I’ve come to realize what consumers and dealerships have in common when it comes to vehicles recalls – assessing how important they are. Every day I work with dealerships throughout the nation, trying to get them to understand that recalls are not only about vehicle safety but also about an opportunity to engage consumers at their moment of need. It still amazes me to see dealerships ignore the iron in the fire, dismissing recalls as either a distraction to their core business or a body of angry consumers they would rather not try to win over. It’s as if some dealers take these recalls and crumble them up for easy disposal. Sound familiar? Every day, consumers on the receiving end of a factory recall notice do the same thing – they send it to the trash heap. Truth be told, we all have to do a better job resolving the recall crisis, and consumers are more willing partners than we suspect. The consumer survey Recall Masters published in last year’s Fixed Ops magazine reveals that, while vehicle defects are the responsibility of the manufacturer, many consumers lay the bulk of the blame, and their frustration, on the servicing dealership who failed to address the recall during their last visit. While most dealerships are proactive in notifying their customers of existing safety recalls, many consumers fail to read the notice and throw them in the trash. These consumers then perceive that they were never notified and vent their frustration on the dealership. In fact, 55.2% of customers reported that they are either “very upset or upset” with dealerships that don’t clearly disclose that their vehicle contains a recall. As an industry, we’re just not doing enough to help consumers identify and repair vehicles. We need to own and simplify the process for consumers. Now for the good news: 75.1% of consumers reported knowing that the appropriate place to get their recall work done is either the dealership at which they purchased the vehicle, or a dealership that sells the same make, and 70% are aware that the manufacturer pays for recall repairs. So, if vehicle owners know where to go, and that they won’t be on the hook financially for the repairs, why do more than 1 in 4 vehicles on the road today have an open recall? That’s the challenge. Sadly, only 28% of consumers surveyed indicated that they will act within seven days of notification, while 53% report that they will act anywhere between 1-6 months! Why do most consumers take so long to get their vehicles repaired, even when aware of safety issues that could place lives at risk? You might surmise that vehicle owners are busier than ever and don’t have the time to get into the dealership to attend to the repair. Maybe they don’t understand the severity of the recall. Could it be possible that they don’t want to lose the use of their car for any amount of time? 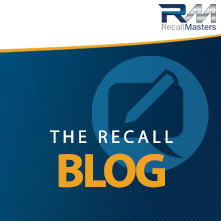 Truth is, there are many reasons consumers are not heeding the recall warning with any sense of urgency. As an industry, if we want to have an impact, we need to adapt. Think about it – what has your service department done to meet the needs of this very unique audience? Is your dealership doing enough to roll out the red carpet for these consumers? For those dealerships that have, the results are amazing. Not only are they winning over new customers and solidifying relationships with existing customers, but they are also reaping revenue in customer pay ROs and new vehicle sales. It all starts with thorough information and multi-channel communication. Consumers want to know when their vehicles have an open recall and expect the dealership to notify them, whether that’s via the mail, email, phone or otherwise. They also respond better to communications that arrive via their preferred method. Take a multi-channel approach to recall notifications with phone calls, mail, text, and email, and you stand a much better chance of getting through to the customer. You’ll also want to make sure those mailers are designed to stand out and are sent via first class, as first class mail has a much better chance of being read, rather than being tossed in the trash. Today’s consumers use email and text messaging as their primary forms of communication, which is where the multi-channel approach comes in. In fact, the younger the consumer, the less likely they are to answer the phone if they don’t recognize the number, and voicemail tends to be ignored. But many older consumers still prefer calls so you can capture a wider audience with a multi-channel approach. Recall repairs aren’t going away anytime soon. Dealers who take care of these customers have an excellent chance of building trust and loyalty, leading to higher profitability from the lifetime value of the customer. At the same time, this also helps customers and their fellow motorists stay safe through recall compliance. When your dealership takes hold of a recall strategy that meets the needs of these consumers, the path will be paved with prosperity through a channel which few other forms of outreach can provide.